Toyota Reliability and Loaded with Comfort and Style!!! Just In this One Owner Off Lease with a Clean Carfax Report and showing Excellent Maintenance Records. The Cosmic Mica Grey exterior color is in high demand and the tan leather seats compliment it so well. This vehicle is extremely clean inside and out. 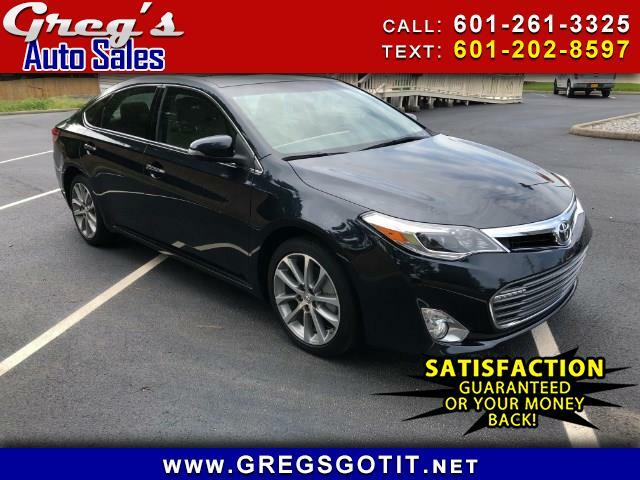 Memory Seats, Heated Seats, Navigation , Power Sunroof, Dual Power Seats, Dual Electronic Climate Control, Blind Spot Monitor, Cross Traffic Alert, and much more. Let's see what the Professional Reviews have to say about the 15 Avalon. Come quick and see this hard to find luxury car. This vehicle is still under manufacturer's warranty. All vehicles sold by Greg's Auto Sales come with a 5 Day Money Back Guarantee...No Questions Asked!! !